Hold the phone! 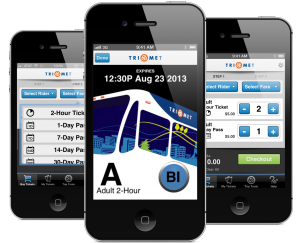 TriMet Tickets mobile app hits a record of more than half a million dollars in mobile ticket sales. Riders have purchased nearly 110,000 mobile tickets since the free ticket app launched in early September. Downloads of the app have passed more than 32,000. As more riders learn about and take advantage of TriMet’s mobile tickets, operators and fare inspectors are encountering users who didn’t validate their tickets. It’s that simple! We have easy to follow how to videos at trimet.org/mobiletickets/howto, but the best way to verify you’ve launched your mobile ticket is to make sure there’s a bird on it. When the ticket launches on your phone, you will see an image of a bus with an animated city scene in the windows. In that animation you’ll see some birds sitting on some wires. So think of it this way, when you see the birds on your ticket, you’re good to ride. Validate or launch your ticket BEFORE you enter a fare-only platform or BEFORE boarding your bus or train. 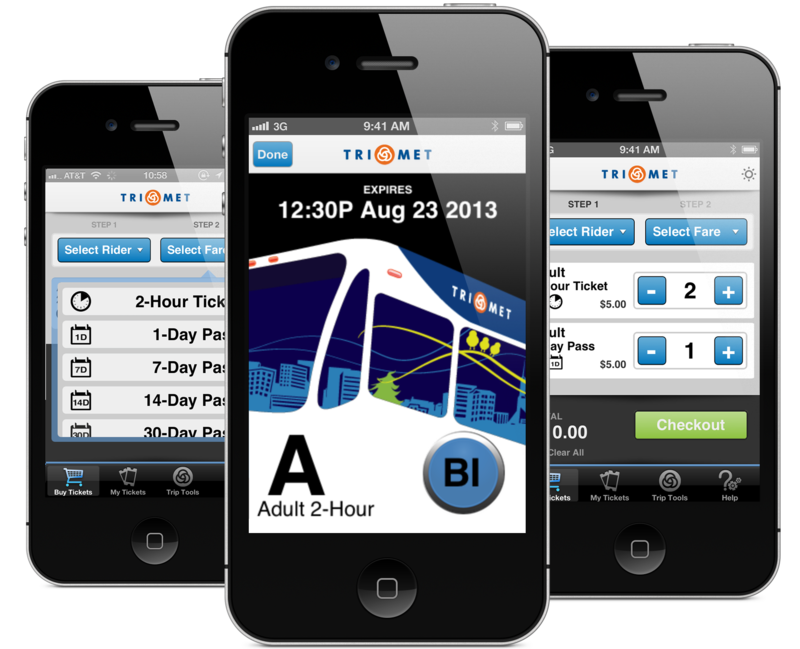 To give your app time to bring the ticket up, launch the ticket when you see your bus or train approaching. You are required to show a fare when riding TriMet so make sure you are ready, and make sure phone’s battery won’t run out during your ride. Don’t have the app? Download it today!